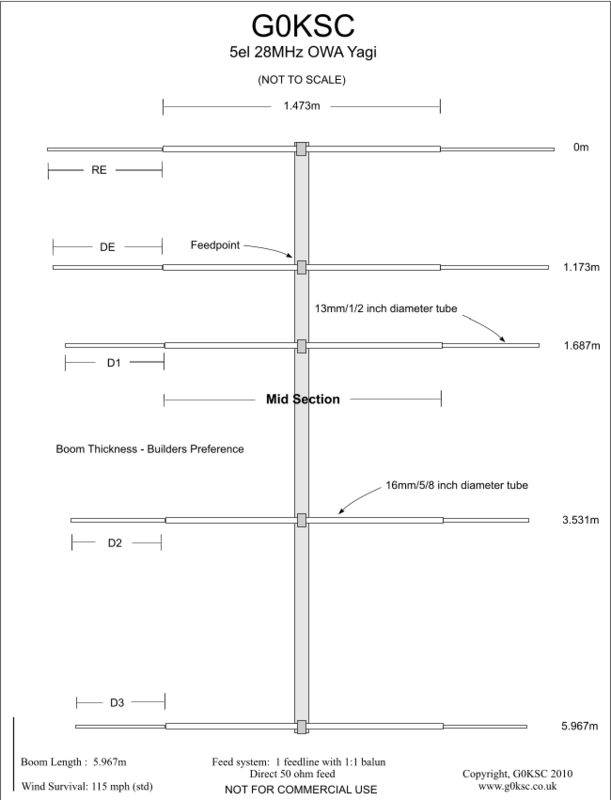 This is a high-gain, wideband OWA (Optimised Wideband Array) Yagi which covers the whole of the 10m band with an SWR of less than1.1:1 from 28-29MHz. 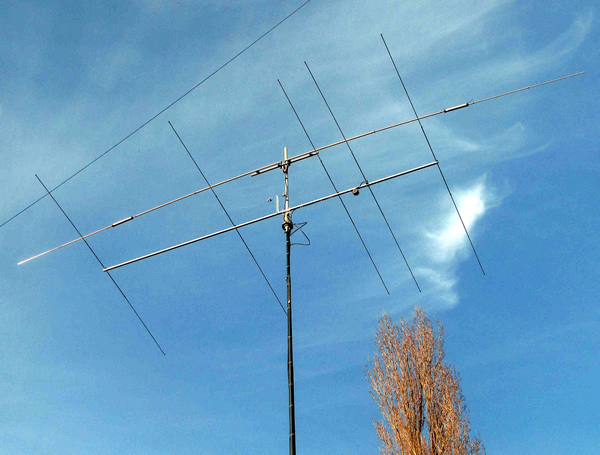 It is a very noncritical antenna so both metric and imperial sized tubing can be used with the same dimensions. I have included both SWR plots below and as you will see they are both very similar. 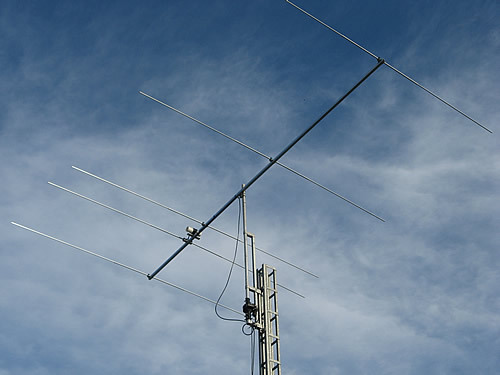 This antenna has a two stage taper. 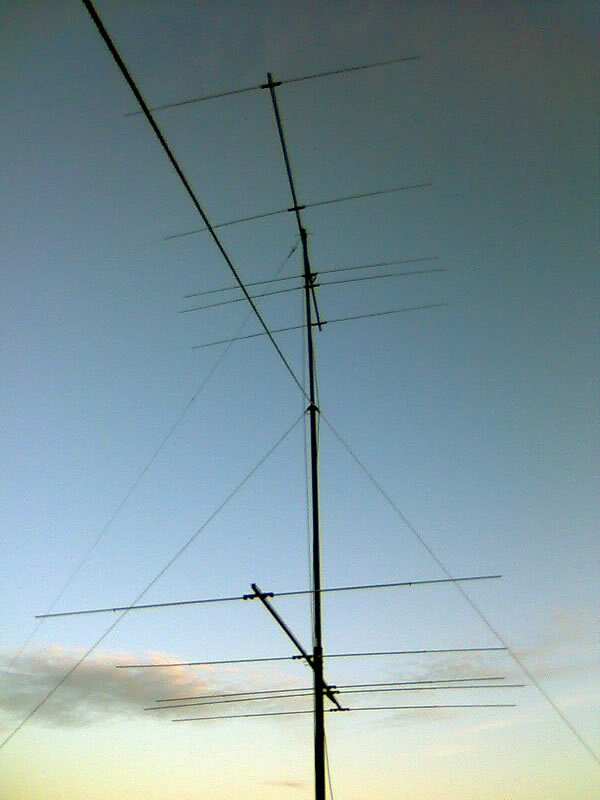 I finished the antenna this weekend and it is really working extremely well (and with a flat SWR). 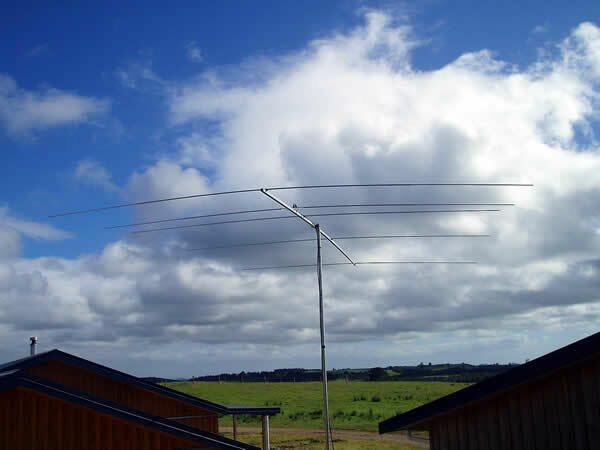 I put it up on my tilting mast at 15m up. Attached you'll find some pictures. I used anti-skid tape between the boom and the elements to be able to align them perfectly and prevent them from twisting. 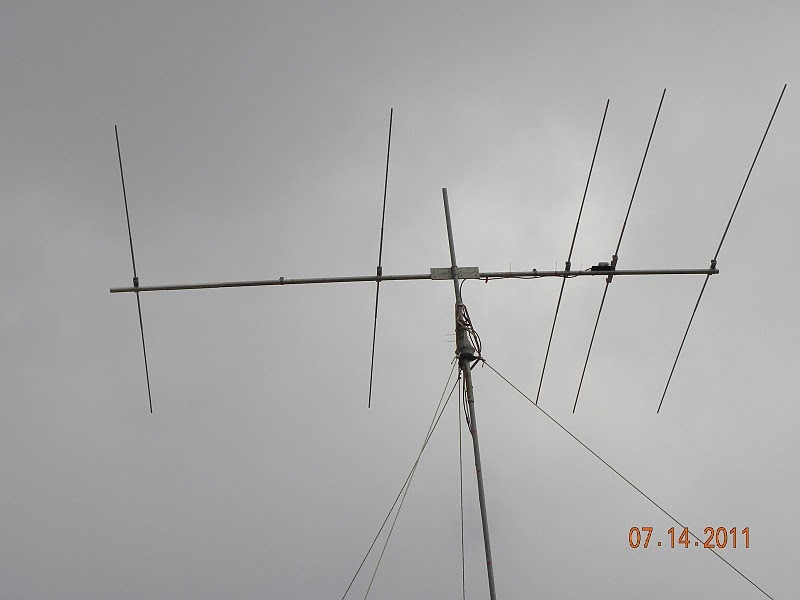 I send photos with done 5owa28sek antenna in ly2w position. The balun made simple 7 cable turns. 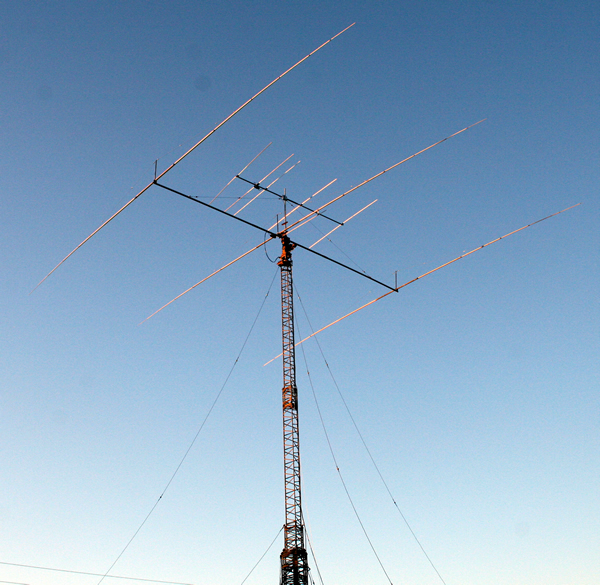 img-2833 your antenna under fool size 40m 3 el.beam elevated. 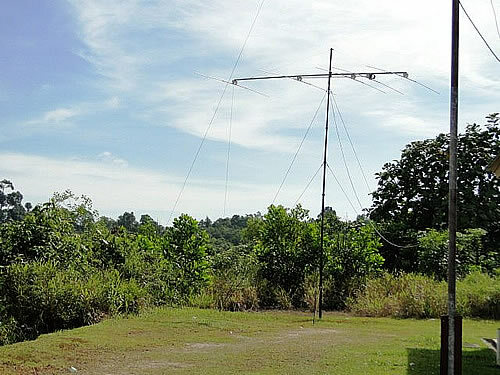 at EA2EA / EE2W (M/M) in the CQ WW contest. 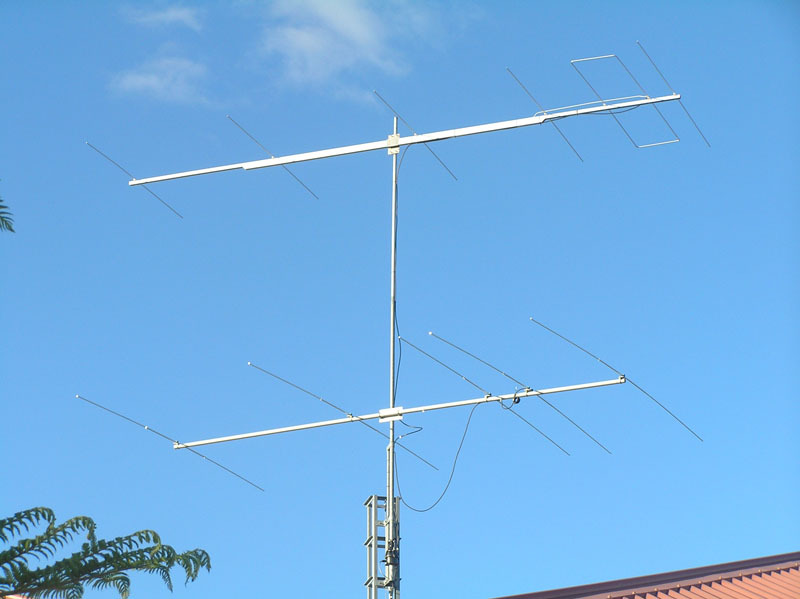 The antennas used for 28 Mhz were 2 x 5 el. OWA vertical stacked. Taper: Mid Section, 5/8 inch or 16mm tube (total length 1.473m). End sections as per below schedule in either 1/2 inch or 13mm tube. Taper: Mid Section, 3/4 inch or 20mm tube (total length 1.473m). End sections as per below schedule in either 5/8 inch or 15mm tube.